Every year, people seem to flock to the same tourist hotspots without a second thought, and while this is perfectly fine for a holiday, there’s something very special about going off of the beaten track and planning a unique trip. So, in this seven-destination breakdown that can take you to Europe, Central America, Asia, and South America, we’re listing some of the most inspirational and unique ideas for trips. Some take you to famous places that don’t carry the traditional tourist persona, while others offer an experience like none other. While the Galapagos Islands are famed for their influence on English biologist Charles Darwin, who established his theory of evolution while exploring the islands and examining the finches, it’s not widely considered to be a tourist hotspot – mostly due to its lack of people-friendly resorts and nightlife. 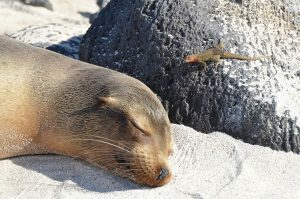 Instead, the Galapagos Islands are host to a unique and diverse population of animals, including Galapagos giant tortoises, marine iguanas, blue-footed boobies, Sally Lightfoot crabs, Cuvier’s beaked whales, Galapagos fur seals, and, of course, Darwin’s finches. To embark on a memorable trip to the Galapagos Islands, you can set off from the islands or Ecuador. Both host many tour services for exploring everything that the archipelago has to offer. But, to truly immerse yourself and see all of the wildlife, an all-inclusive island hopping trip may be the best way for you to go. Situated on the islands, you can find a six-day all-inclusive Galapagos Island hopping tour which includes all transportation – including to and from Seymour Airport in Baltra – hotels, snorkeling gear, and a tour of all of the best places to see the famed animals of the region. A trip such as this costs €1344 (£1193) per person but includes pretty much everything that you will need. 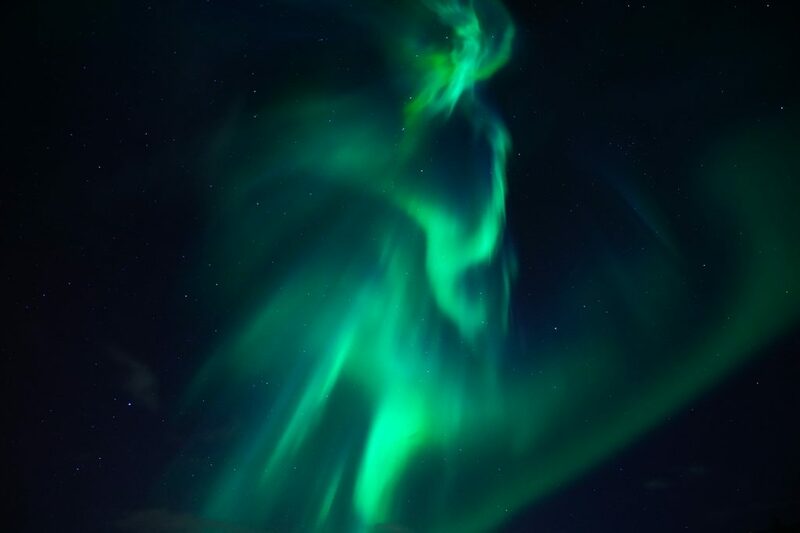 Seeing the Northern Lights is on the bucket list of many, with the iconic natural phenomenon being a huge attraction in the northern-most countries of the world. However, some people are put off the idea of a trek to see the spectacular event by the freezing weather. So, Kakslauttanen established its iconic arctic resort in Finland, presenting itself as the premier location to view the Northern Lights in unique luxury. Kakslauttanen offers many different forms of accommodation, but the glass igloos are the most revered, with the Kelo-glass igloos being a combination of glass igloo and log cabin. The best time of year to see the Northern Lights in this region is from the 24th of August through to April, with the igloos giving you the best chance of seeing them and perhaps even falling asleep to them during your stay. As a customer with Kakslauttanen, transport from Ivalo Airport is included, but you’ll need to inform the hotel beforehand. For the ultimate experience during Northern Lights season, small glass igloos cost around €505 (£448) per night, with Kelo-glass igloos coming in at €700 (£621) per night. Services at the arctic resort also include smoke saunas and ice swimming, top-class restaurants, a gift shop, and the option to rent equipment like winter overalls if needed. Beaches and water parks epitomise the most popular holiday destinations of Mexico, and yet, nestled away north of the capital, Mexico City, is a small town that grants passage to a rather unique point of interest. From the town of Xilitla, you can walk 40 minutes or catch a bus (colectivo) for €0.48 (£0.43) to find the bizarre creation of Sir Edward James. 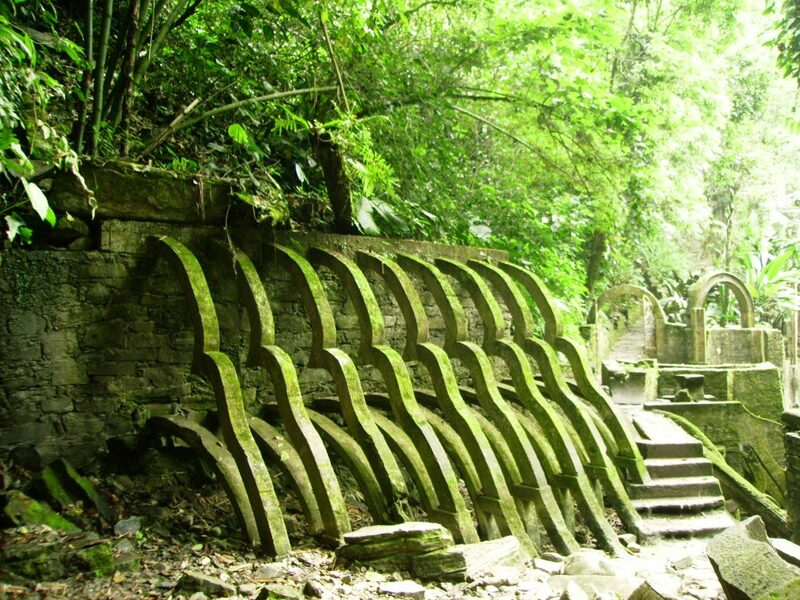 In the 1960s, the eccentric English surrealist started to turn his plot of Las Pozas into a place of extraordinary sculptures, continuing to add to the jungle-laden exhibit for 22 years until his death in 1984. Now, the sculpture gardens boast over 30 of his designs and make for quite a distinctive experience. Las Pozas is a popular attraction, with the potential to see queues backed up for hours with hopeful entrants. So, with its opening time at 9 am, you’ll want to be waiting by the entrance kiosk at 8:30 am. After paying the €2.33 (£2.07) entry, you can expect your exploration of the gardens to take upwards of two hours. As for your accommodation in the local area, decent hotel rooms in Xilitla can be found from about €36 (£32) with straightforward access to Las Pozas via bus or by foot. The closest international airports to Xilitla are General Francisco Javier Mina International Airport and Queretaro International Airport, but many people travel from Mexico City as Mexico City International Airport is very well connected. From the capital, many bus services will take you to Xilitla or a destination close enough for you to get a taxi, but journeys will take in excess of six hours in most instances. Croatia is one of the most beautiful countries to visit in the world. 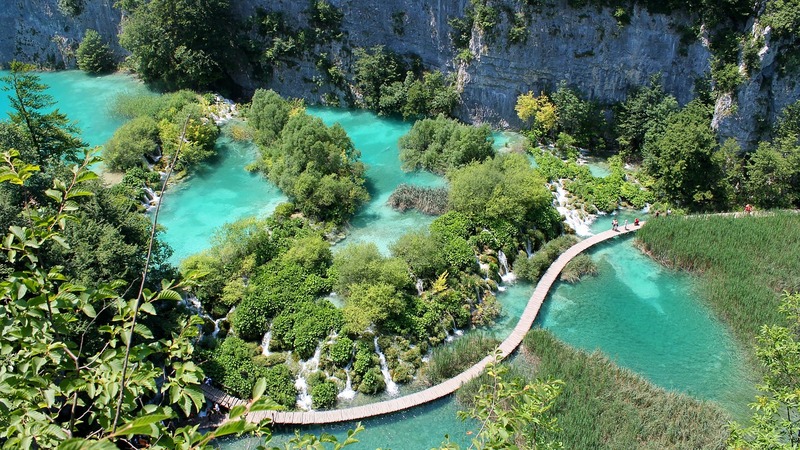 But, while many go to its historic cities or beach resorts, others opt to explore the natural beauty that’s been given UNESCO World Heritage status: the Plitvice Lakes. Made up of 16 natural lakes that span the Plitvicka Jezera National Park, people are drawn to the vast waterways for its turquoise waters and unique wildlife, which includes brown trouts, sharp-snouted rock lizards, European green lizards, roe deer, lynxes, wolves, brown bears, otters, and a huge array of birds and butterflies. As most people find their way into Croatia by flying into Zagreb Airport, and base their trip within Zagreb, there are many full-day tours which set off from the capital city which can cost around €54.69 (£48.53) for between eight and 12 hours in duration. Accommodation in Zagreb varies; as it’s a capital city, there will be budget and expensive options available. But, at the low end, you’re looking at as little as €30 (£27) per night in the spring and early summer at a four-star rated hotel. Few people in the west know very much about the small Asian nation of Bhutan, but those who make the trip never forget. It’s a simply beautiful country but operates its tourism in a somewhat peculiar way. Rather than you buying a Visa, renting a hotel, paying for transport to the places that you want to visit, paying to eat a restaurant, or even paying to gain entry to a tourist site, you simply pay a daily fee to be in the country. The daily fee includes all of the above as well as taxes, non-alcoholic drinks, and trekking gear if you should need it. While the rate is worthwhile in the opinion of those who go to Bhutan, some will be deterred by the fee. Between the months of March to May and September to November, the fee is €220 (£196) per person per day, or €176 (£156) per person per day in December to February and June to August. If you’re visiting Bhutan on your own, you’ll be charged another €35 (£31) per day, or €26 (£23) per person per day if you’re on a private tour for two. Once you’ve flown into Bhutan’s only international airport, Paro Airport, you’ll naturally want to see and do as much as you can due to the daily rate. 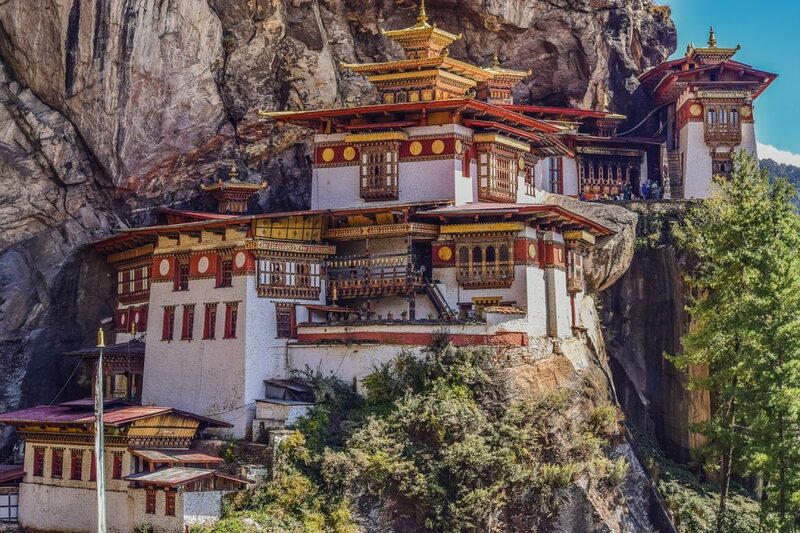 If you’re staying for a shorter spell, put the Taktsang Monastery at the very top of your list. Also known as the Tiger’s Nest Monastery, it takes a couple of hours to ascend to the incredible structure, which sits on the side of the mountain. It has been blessed as one of the nation’s most sacred sites and is a truly inspirational location which monks still call home to this very day. There is a huge range of unique and inspirational trip ideas to be found for those who want something more than a traditional holiday. The ones listed above are some of the best, but don’t let that stop you from concocting your own inspirational trip.